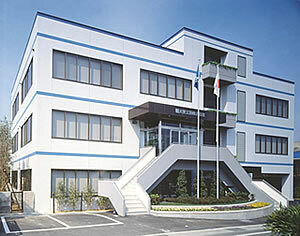 ﻿ About_us | Daikoku Industry Co.,Ltd. Daikoku Industry Co., Ltd. was founded in 1950 in Iyomishima-City (Current Shikokuchuo-City), a small sized city in Ehime Japan. The city is also known as the 'City of Paper' because of the many paper factories that are based here. Since the start in 1950 we have been catering to the diversified needs of the food industry. We have been successfully developing and supplying many products such as food containers and packaging materials to our esteemed customers. At present, we handle more than 100,000 different products to satisfy customer base of more than 3,000 companies in Japan who trust the Daikoku brand for their complex needs. We have founded many overseas manufacturing bases and we are developing many Eco friendly products to serve the changing needs of our customers. We always think from a user's perspective and hence our corporate philosophy is "Value the Customers." We are committed to contributing to the food culture by integrating our corporate philosophy with a quest for innovation in the packaging industry. Moreover, Daikoku also takes environmental problems seriously because we believe that a company's environmental policy will be vital to its survival in the 21st century.